This half term our topic is 'Stories by the Same Author'. We will be learning all about Julia Donaldson and her wonderful stories including The Gruffalo, Stick Man, Zog and Room on the Broom. This week we began looking at our very first Julia Donaldson story - The Gruffalo! The children have had lots of fun retelling the story in our small world and roleplay areas. We have sequenced the story and wrote simple sentences about our favourite parts. We have looked closely at the character of the Gruffalo and listened carefully to his description in the story. We have used adjectives to describe what he looks like and for our Big Write we will make 'wanted' posters. This week we have looked at another Julia Donaldson text called 'Stick Man'. The children will be learning Talk 4 Writing (T4W) actions to help them remember the story. We will be sequencing the story, reading true & false sentences, looking at rhyme and retelling the story in our own words. Picture 1 - Stick Man is at a pond and is being used as a fishing rod by the gnome. Picture 2 - Stick Man is at a camp site and is being used as a stick for toasting marshmallows. Picture 3 - Stick Man is in a garden and is being used as a rake to collect the leaves. Picture 4 - Stick Man is at a castle and is being used as a ladder to rescue a princess. The children then wrote some fantastic ideas on whiteboards before making their own storybook to tell Stick Man's new adventure. On Monday morning the children arrived in the classroom and discovered a nest with an egg inside. Attached to the next was a note that said 'Please look after this egg. If you have any questions then email Madam Dragon'. We were very curious to find out what was inside the egg and after a discussion we thought of some excellent questions to send to Madam Dragon. Later in the morning Madam Dragon sent us an email back with instructions on how to look after the dragon egg. She also told us that she is a teacher at a dragon school in Spike Tail Woods. She sent us a book all about it. This week the children have been learning the story of 'Zog' by Julia Donaldson. We have sequenced the story and identified differences between our school and dragon school. We started our next book by Julia Donaldson this week which is the sequel to 'Zog'. The children have been busy ordering and retelling the story. Later in the week we will be making our own story maps and adding a new character to the story. During 'We Are Reading' week we will be looking at our final Julia Donaldson story called Room on the Broom. The children will be writing in the style of Julia Donaldson by changing the pet that belongs to the witch and also the object that she loses when she is flying her broom. This half term our English focus is Traditional Tales. We will be reading a variety of stories including Goldilocks and the Three Bears, The Gingerbread Man and Jack and the Beanstalk. The first Traditional Tale that we are looking at is Goldilocks and the Three Bears. The children have been busy sequencing and retelling the story, making story paths and re-writing the story in their own words. The Rabbits group have worked hard to act in role as the characters. They recorded a video of the story for the rest of the class to watch. This week the children have started making changes to the story. They have picked three different animals to be the main characters instead of the bears. The Rabbits group have participated in a hot-seating activity to ask Goldilocks questions. 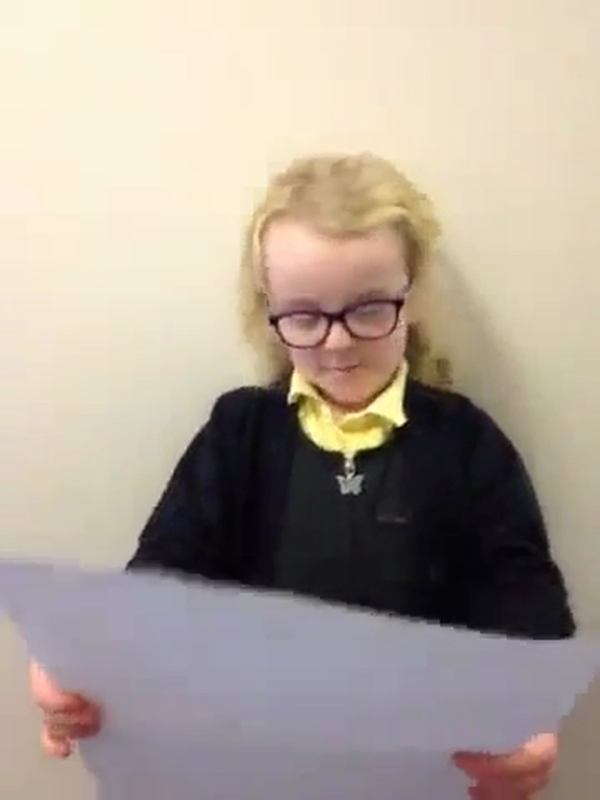 They acted in role as police officers because they wanted to find out what she is sorry for. At the end of the week they wrote a letter to the Three Bears in the role of Goldilocks to say sorry. 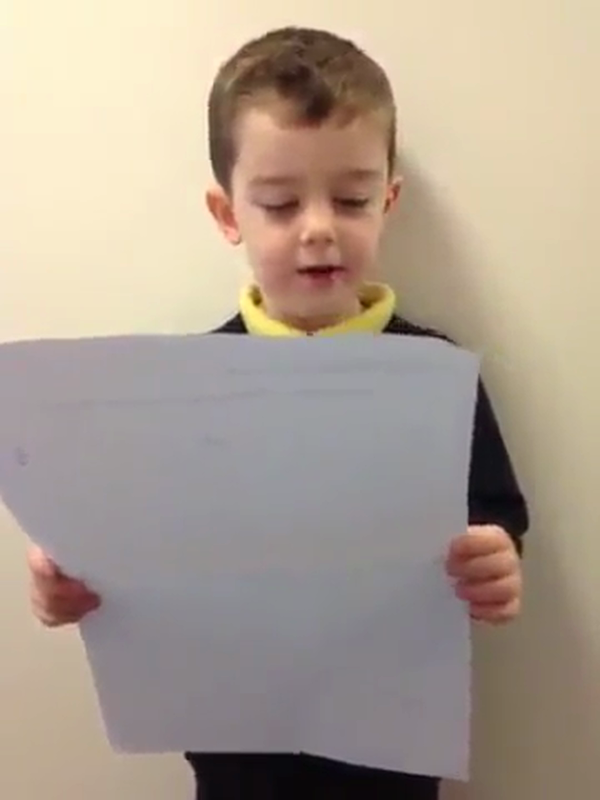 Our next traditional tale is 'The Gingerbread Man'. The children have learnt the story off by heart using T4W and actions to help them remember it. This week the children will be thinking about the character the Gingerbread Man and will be creating a wanted poster to find him. This week the children are changing parts of the original story. They have used T4W to create story maps. The children have changed the animals that chase after the Gingerbread Man. 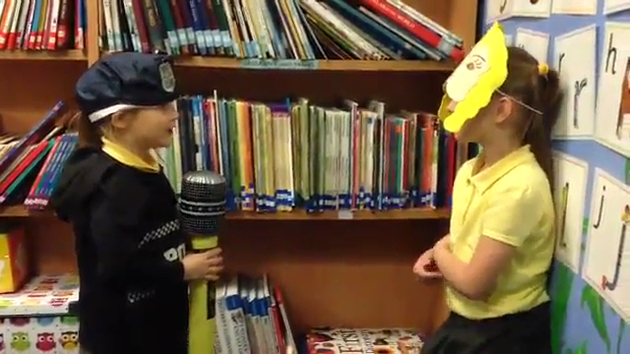 Take a look at the videos of some of the children orally retelling their new stories below. This week the children received a letter from the old lady out of the original story. She sent the children her gingerbread recipe and asked for their help to make some new biscuits. The children spent time looking at recipes and identifying the features of instruction texts. They then followed a recipe to make their own Gingerbread Man.